The victims of a balcony collapse in Berkeley, California, that killed six college students have reached a settlement with some of the companies they sued in 2015. The settlements are confidential, said lawyers for the families of the students who died and seven others who were injured. ``This settlement will never restore health or life but reflects an element of justice from the wrongdoers for the deaths and serious injuries caused by the tragedy,'' said attorney Matthew D. Davis in a statement issued Friday. The students, largely from Ireland, were at a birthday party in June 2015 when the balcony collapsed, sending them 50 feet (15.24 meters) down to the street below. It's a tradition for Irish students to visit the San Francisco Bay Area for the summer to work at tourist spots and enjoy the break. Lawsuits filed in Alameda County Superior Court say previous tenants reported seeing mushrooms on the balcony, but the building's manager did not close the structure off. 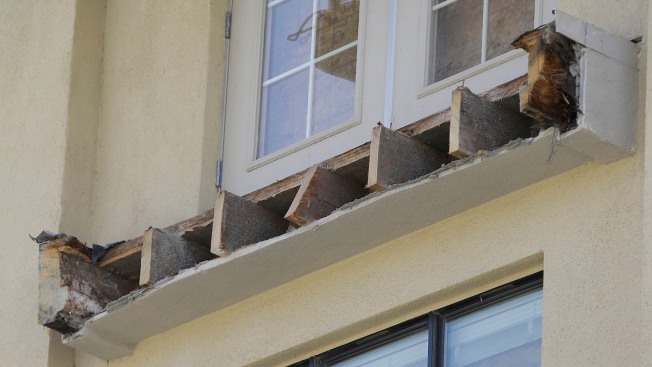 The mushrooms showed the balcony's wooden support beams were rotting, the lawsuits said. A city investigation revealed the wooden beams had rotted through from water damage.